BARNEY & CO THE LAWYERS WHO REALLY CARE! Theodore Roosevelt once said “People don’t care how much you know until they know how much you care”. 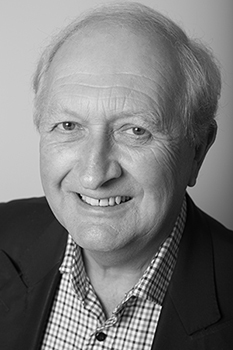 David Barney very much cares that his clients do not get themselves into trouble when they buy a French property and does all he can to try and see that this does not happen! That is why his clients like what he does for them because they know he really cares. How many other lawyers can be said to feel the same? David Barney can be contacted directly on 07766095865. For free discussion of your legal requirements and our ability to satisfy them please complete our contact form and David will get back in touch you. 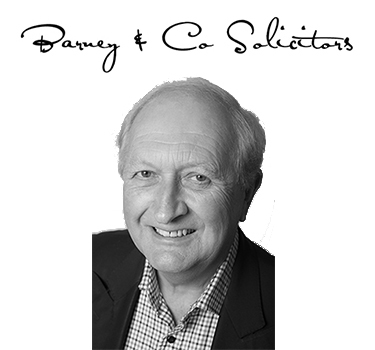 Barney & Co solicitors have numerous years experience specialising within the legal industry and can draw upon hands on experience of specialising in corporate commercial work. If you consult Barney & Co. on a legal matter, you can be assured that they will bring to the matter a pro-active approach, with an ability to think laterally upon any matter, particularly when it is necessary to bring a fresh perspective to bear on any problem in order to solve it in a manner where ‘value is added’ to the matter for the client’s benefit. Barney & Co. does not simply act as a “post office”, passing on its client’s instructions to the opposing solicitor or Notaire. Instead, we attempt to assist the client to find the best solution (legal or practical) to their problem. At times that may require Barney & Co. to stand up robustly against the person advising the other party to the transaction. However, if we believe our client is making a mistake in relation to a transaction, we will not be reticent to tell our client so – remembering that, at the end of the day, a solicitor’s job is to advise and warn – the final decision must rest with the client. It is wise to remember that a good lawyer may well be able to save you money – a bad one may cost you a fortune!! I accessed a 20 minute free consultation with David. His advice about property inheritance laws and taxes in France was really helpful and beneficial to our decision making. Without this advice, we could have ended up in a legal quagmire!’ David comes highly recommended. David Barney has been instrumental in untangling the Gordian knot of my late husband’s French succession by compelling a reluctant Notary to engage with the paperwork after two years of unresponsive delay. He has been both supportive and knowledgeable and I live in hope of the process being brought to a satisfactory conclusion in the near future. I first contacted David Barney in 2017 as my fiancé and I were wanting to make the move to France. Our plan was to find a house with a couple of gites that we could buy, live in the main house and run the 2 gites as a business. Right from the outset David was invaluable. He set out the whole buying process – which was key to our planning, but in addition to that, as the French legal system is very different to UK law, he explained how other areas of French law could impact on us e.g. wills and succession, tax as well as matrimonial law, enabling us to plan for/mitigate against. Having given us really sound advice on the overall legal implications he then became pivotal to the whole buying process liaising with the notaire and seller on our behalf, providing translations of key communications and just ensuring the whole process went smoothly end to end. And it did. We are now living in a converted barn in the Poteau Charante region and have the farm house and stables to rent out for next years holiday season. I could not recommend David highly enough to anyone looking to buy in France having the reassurance of David acting on our behalf coupled with his legal expertise meant that our whole experience couldn’t have been better or the purchase any smoother. I would like to take this opportunity, to thank David Barney, of Barney and co, for having worked tirelessly over the last year, to bring closure to my late fathers estate. David kept us informed every step of the way, and his knowledge in French law , and his persistence was the key to being able after so long to bring this to its conclusion. I would highly recommend David to anyone . I was very grateful for David’s friendly advice and deep knowledge of French inheritance law during the settlement of my father’s estate. He answered my questions promptly and with courtesy and pointed out several important factors that the notaries had missed.